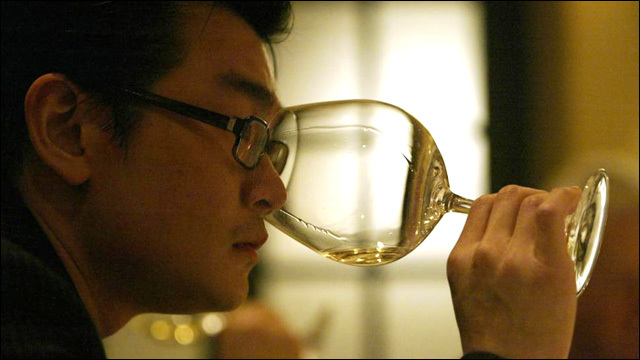 Asians behaving badly... wine counterfeiter edition! Last week in New York, the wine collecting world's most infamous con man was sentenced to ten years in prison after getting caught pulling a multimillion dollar scam. 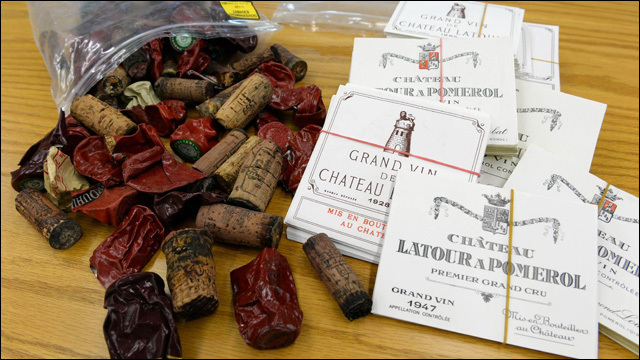 37-year-old Rudy Kurniawan, once a prolific wine collector, was convicted last December on two counts of mail fraud after selling more than $20 million of counterfeit rare vintages to wealthy wine enthusiasts. In addition to prison time, he was ordered to forfeit $20 million and to pay more than $28 million in restitution to his victims. I know nobody's really going to feel super-sorry for a vintage wine swindler, nor for fraud victims who can afford to pay over $200,000 for a freaking bottle of wine, but I've been fascinated with Kurniawan's case after reading this wild New York magazine piece a couple of years ago. Kurniawan claims it wasn't about the money -- he did it for the respect of his wealthy wine-loving peers. Mr. Mooney told the judge that Mr. Kurniawan has already "lost what's most important, which is his reputation." The judge asked about Mr. Kurniawan's motivation. Mr. Mooney said his client comes from a wealthy family and didn't sell the counterfeit wines for greed. Rather, he wanted to be respected by a group of rich wine lovers. Over time, the collectors fronted Mr. Kurniawan money so he could find rare vintages, gaining their friendship in the process. "He started to make up these wines because he couldn't find them," Mr. Mooney said. Some people buy fancy cars to keep up with the Joneses. This dude made fake bottles of rare wine. Sooner or later, that fake stuff catches up with you. Say goodbye to fancy wine for a very long time, Mr. Kurniawan. By the way, we heard a while back that someone was planning to make a movie about Kurniawan's exploits in wine fakery. I wonder if that's still happening. And as always, I wonder if Rudy will played by Asian actor.